THERE were more huge gusts of wind and loads of rain overnight across County Donegal – as the last huff and puff from Hurricane Katia finally moved away. The windy conditions continue here however with some damaging gusts. The Harry Blaney Bridge will remain closed throughout today. And today will be windy again for most of the day – but not on the scale of yesterday. Donegaldaily.com readers across the county have reported a number of trees down overnight. The winds may have dropped from 110km/hr gusts to around 90km/hr gusts but it was still stormy enough to cause some damage. Many roads are covered with branches and other debris from the overnight winds and AA Ireland and gardai have again appealed for motorists to take care. Drivers of high-sided vehicles need to take care for a second day, said the AA. 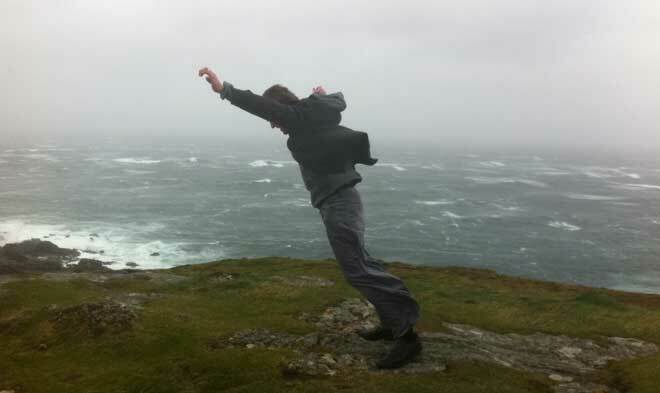 Irishweatheronline, RTE and BBC are all reporting this morning that Donegal will continue windy throughout the day, easing off further by dusk. Winds of between 80km/hr and 90km/hr are expected. Hurricane Katia meanwhile will die out over Norway later tonight.